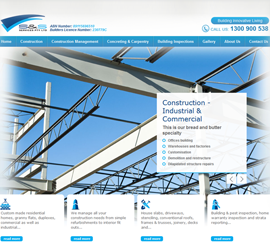 S & S Services website is a database-driven website showcasing client’s services and construction projects. The website has adequate back-end tools that allows S & S Services web administrator to update the website content with ease. The website has gone a major re-design to reflect current services.